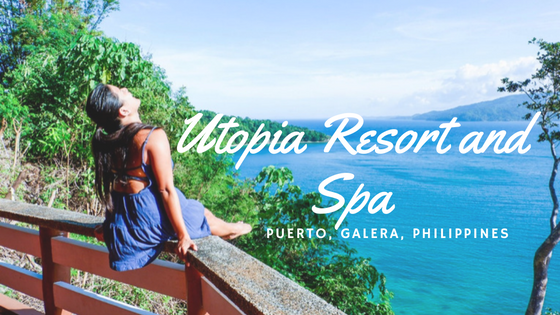 If you’re looking for privacy for your staycation or an ambient abode for tourist like me who wants to explore other parts of Puerto Galera, Utopia Resort and Spa in Mindoro Islands is the answer. This well-managed resort nestled in the main town, Muelle, which is a less known area in Puerta Galera.The remarkable part of my stay in the resort is the breathtaking view of Mount Halcon and Puerto Galera Harbor, not to mention the hotel’s excellent service that will surely made them the destination of choice of individuals who seek great views and good service. 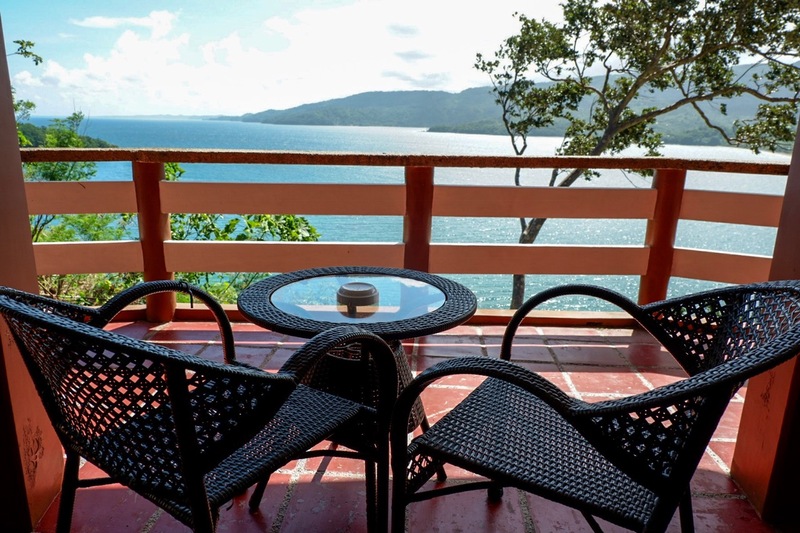 You can reach the resort by taking a bus or drive to the Batangas Port and then taking a boat to Muelle. It would took 5-10 minutes going to the resort. Utopia Resort and Spa has this welcoming ambiance. 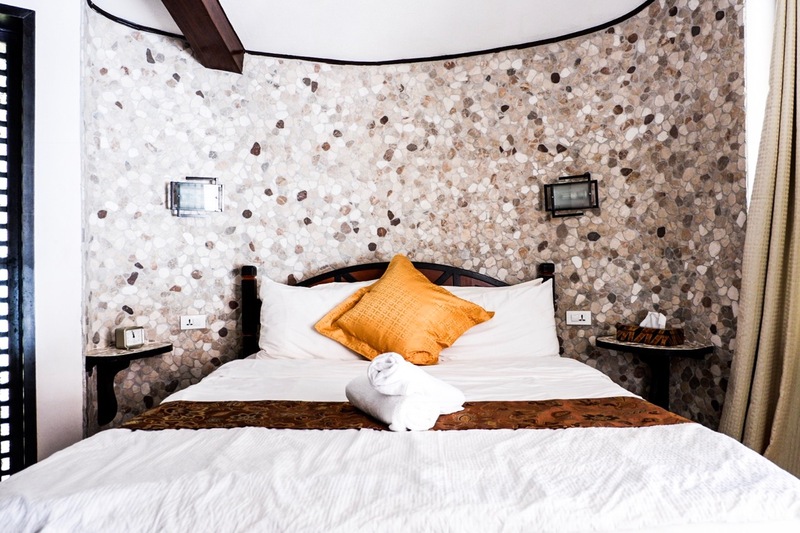 It has a variety of spacious rooms to choose from: Lily Cottages, Rose Cottages, Orchid: Contemporary Suites and the Sampaguita:Honeymoon Suites. I was lucky to have been able to stay in the Sampaguita room. The room has two floors comprised of lounge area, a kitchen, a bedroom suite and a comfort room. The room is clean and extremely comfortable. It also has a clean and cool color scheme. 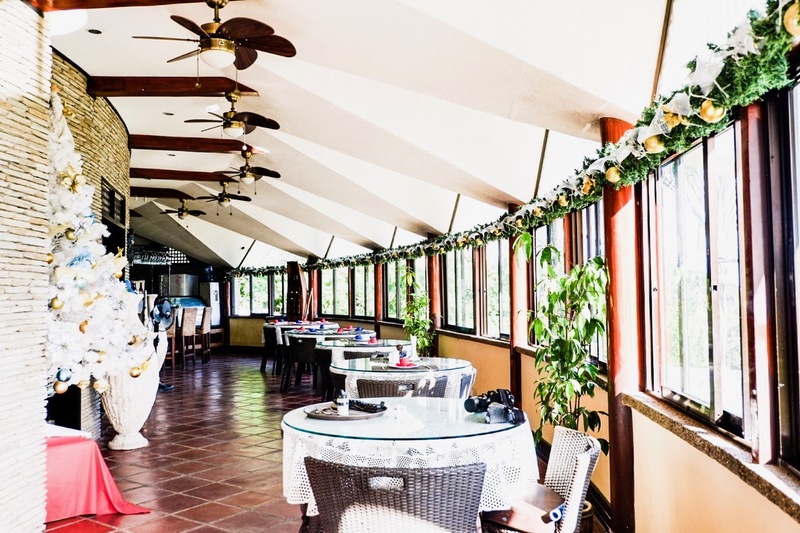 There was also a private veranda, located midway through the stairwell going to the rooms, where I enjoyed the cool breeze while feeding my eyes watching the scenic landscapes of Varadero Bay and the slopes of ‘Baclayan. The view is indeed spectacular and deeply loved it. Perfect spot for a coffee lover like me. However, it would be better if they provided toothbrush, toothpaste and foot rug since they are a luxury hotel. Water, shampoo, towels and coffee is provided though. There is WIFI but its quite slow and spotty but I think that’s through out Puerto Galera. The owner Kelvin Bruce is trying his best to bring in good WIFI but that will still take some work. There are also modern amenities offered in the resort for utter relaxation. 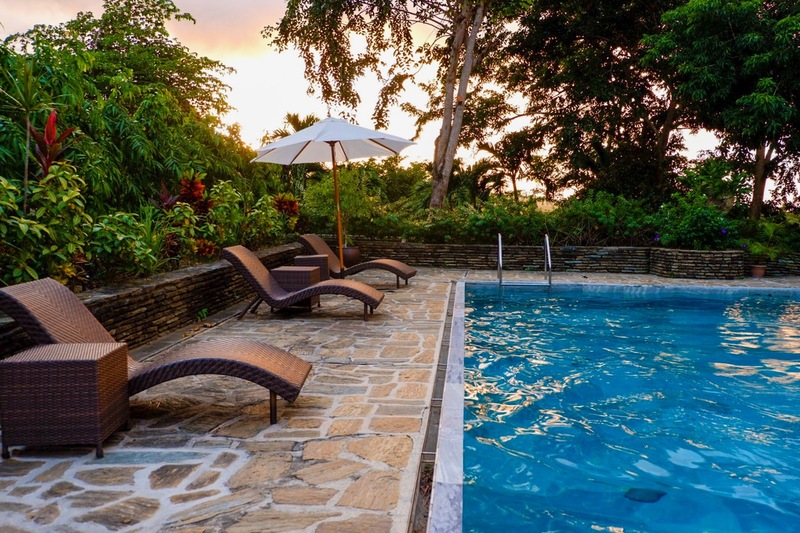 It includes an outdoor pool where you can have a nice day plunge with an iced-cold beer since it has a bar literally on the pool. Also, there is a spa, a KTV, a restaurant and manicured gardens in the resort. The center space is big and ideal for gatherings and events, perhaps a wedding could be done here too. Oh! Did I mention that the resort has a beach nearby which is near from Encenada Beach Resort but it’s a 5 minute hike down. Well, going down, the road is half paved but there are still parts where you have to exert a tiny effort to go to the beach. More effort to get back up since it’s up the hill but then that would be a little bit of an exercise. The resort never failed to offer the relaxing and zen-like ambiance. So, here comes my pampering session in the Spa that satisfies my much needed relaxation. The Spa massage area has a tub. OMG! I loved it there. The girl, Emily also gave me a mix of Shiatsu and Swedish massage and it helped me a lot. The Spa felt relaxing but it only accommodates 2 at a time. Not only the room was extraordinary, also the food was also good. It was absolutely on the high end. Yes! They offer food ranging from Parmesan to Thai Curries. 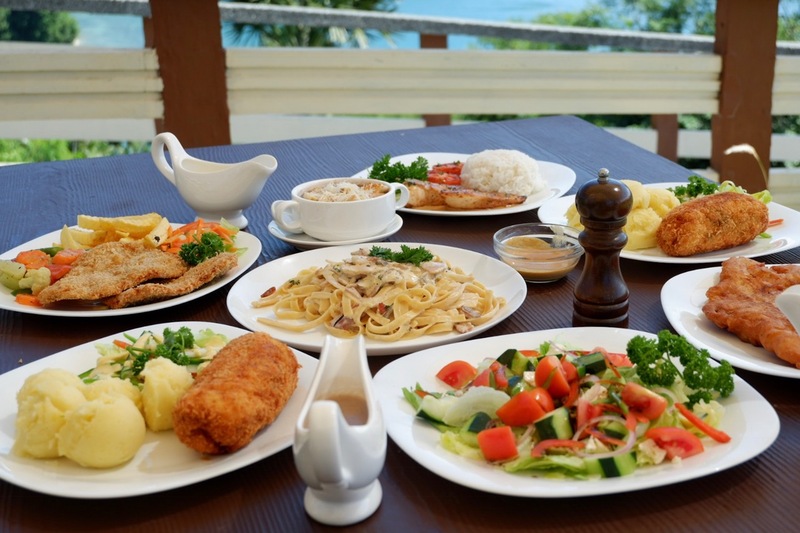 Meals are diversified for they have Indian Food, German Food and of course, Filipino food. They will surely leave you feeling satisfied and full. I loved the Carbonara, French Onion Soup, Daing na Bangus and the German soup. Everything was so damn delicious but what I appreciate the most is their rice. Tastes heavenly! But note, if you want to eat in Utopia you have to order at least 1 hour in advance. They make everything from scratch to make it fresh so it takes a lot of time to serve it. For us, we just ordered way before we were hungry. We spent time bonding and all that while waiting or showering and getting ready and by the time we got out it was perfect. Perhaps the staff can ask the orders for breakfast the night before so they can prepare it ahead of time. 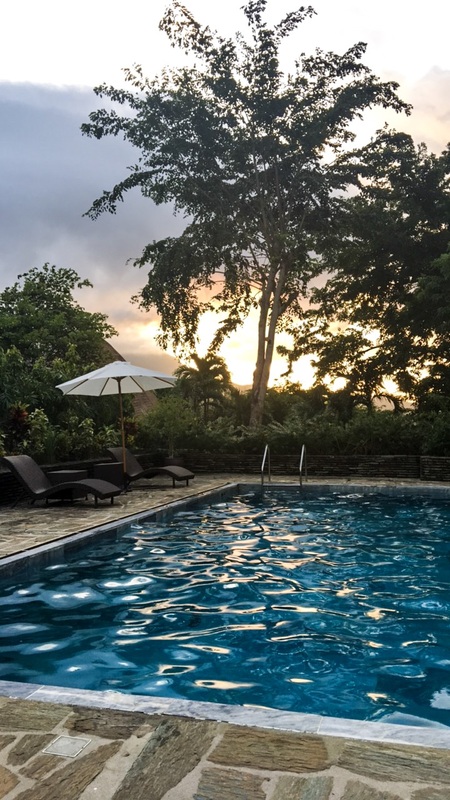 The resort has an efficient service and the staff was amazing.Ms Tina was always very accommodating, courteous and always smiling. From the moment we set foot on the resort, they did everything to make our stay as perfect as possible. I must say, both check-in and check-out were a breeze. They can also help with your ferry bookings. 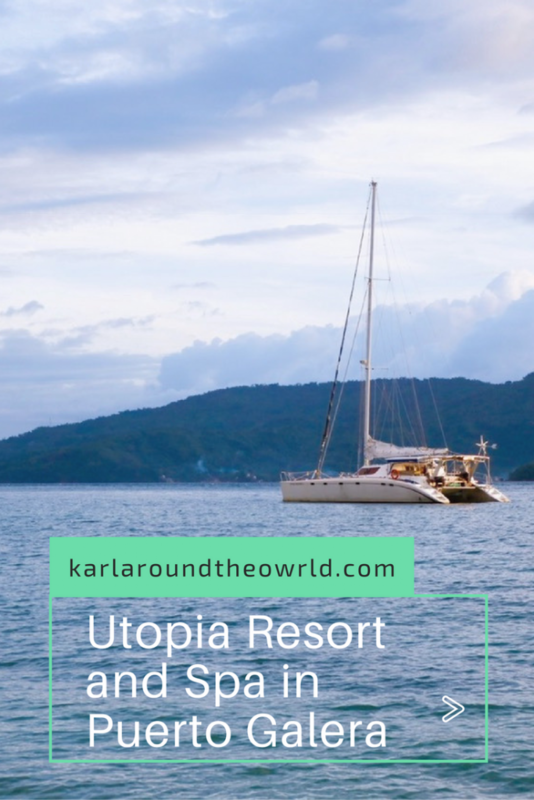 With the array of well-designed rooms offered and with the wondrous views and beautiful gardens, Utopia Resort is indeed a unique accommodation option. 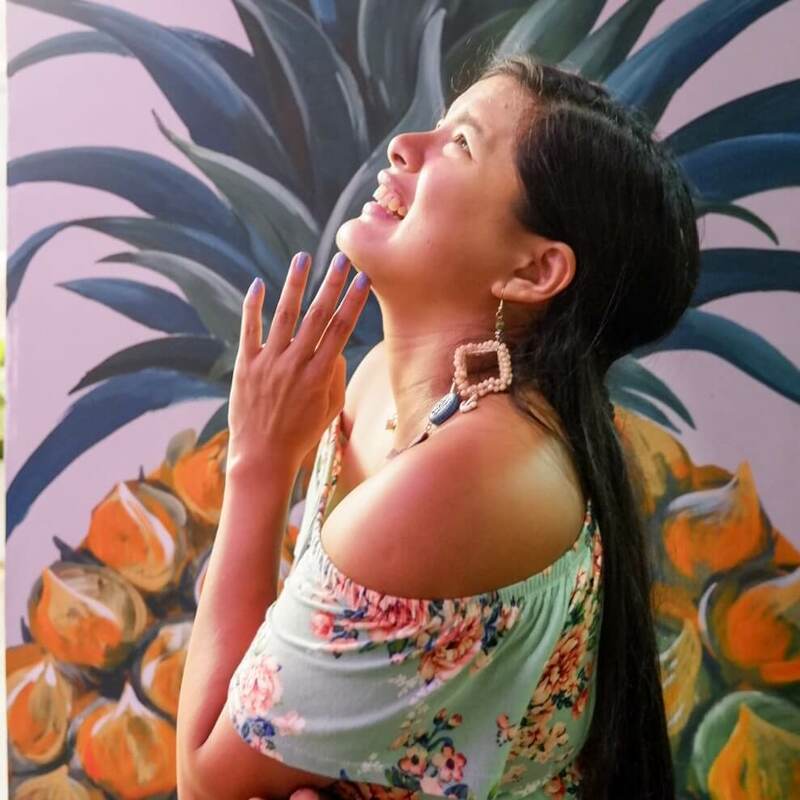 The rates are very reasonable considering the facilities and decor, most especially the comfort and coziness the place brings. I think it’s target market will be couples who would love to go for a romantic getaway or a staycation. The place just needs a little sprucing with events ad more activities to offer but all else, it’s a great place to base in. 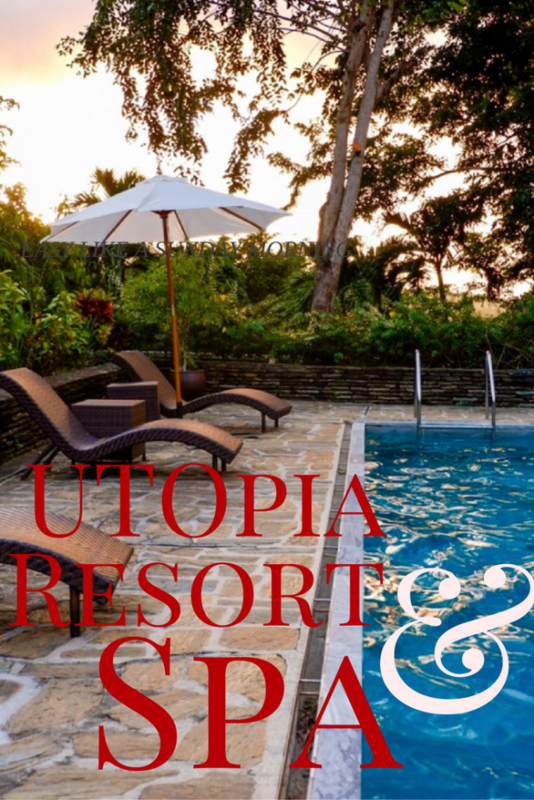 My stay here at Utopia Resort has been exceptional-a perfect dose of decadence tinged with warm hospitality. I will surely be back in this resort for another vacation. Barangay Palangan, Puerto Galera, Oriental Mindoro 5203, Philippines. 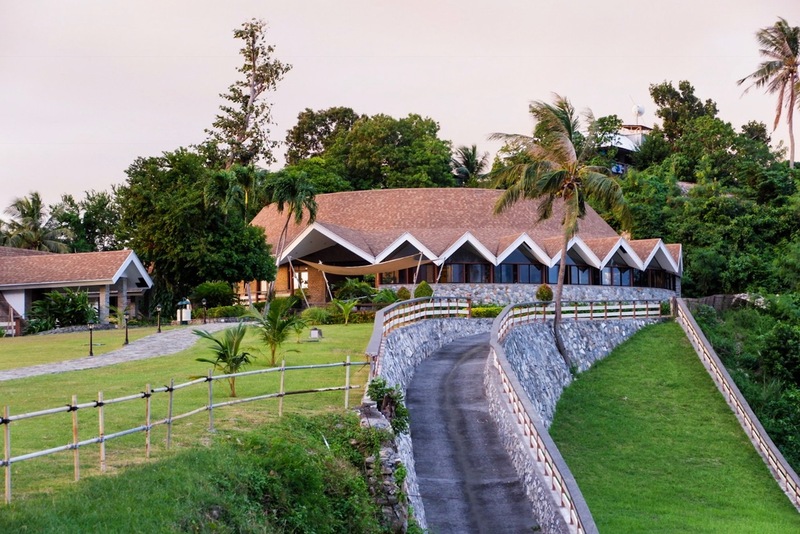 Looks like a good resort for those who wants to go to Puerto Galera but hates the crowd and the noisy part. I may have missed it, but do they also have working wifi and how fast was the connection? They do have good spacing outdoors and I wonder if bloggers could go there, sit outside and work on some stuff. I know, it’s vacation so why blog? I guess I am wired that way. You can definitely work outside as I was here in November and there is plenty of space. It’s in a much quieter area than some other places on the island too so you can get some rest. The staff here are truly awesome also. Cottages named after flowers itself is sounding so inviting. The view from your room is really breathtaking. It’s also equally well captured. A beautiful resort for a luxurious stay. Very well reviewed. Everything that I need is just here. 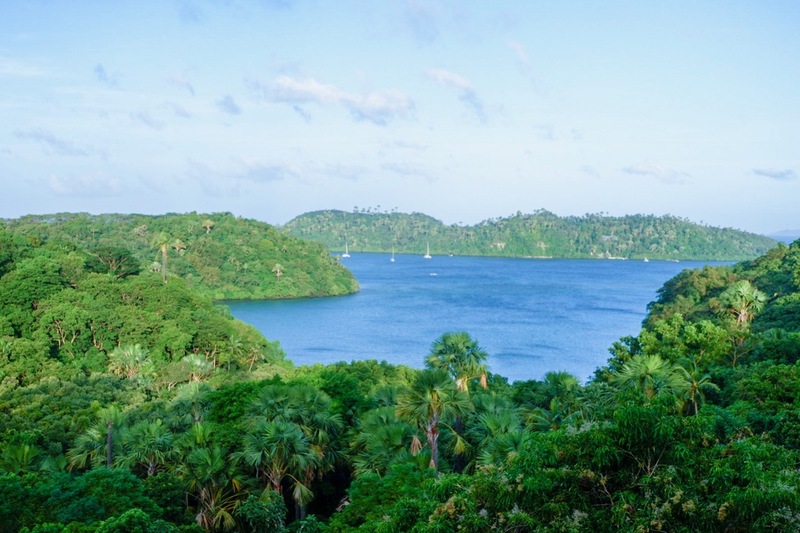 The nature’s innate beauty, the amazing view of the Resort is just truly breathtaking. The food looks really tempting and just like what you have said, it is really luscious. I like how you write your experiences here, it’s really honest and its an article that is fun to read. Your photos are as well so good. Wow, is all I can say! That balcony and view is incredible! I love how cozy the bed and room look as well. 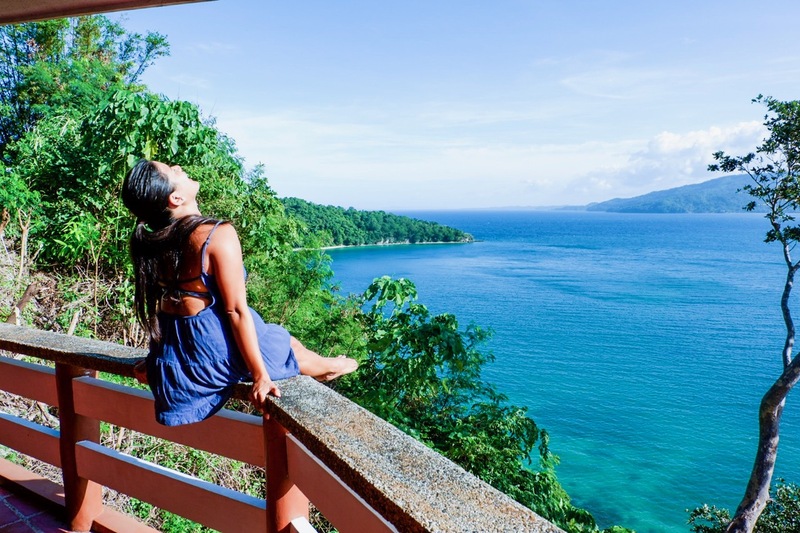 This is the ultimate luxurious place to stay in the Philippines! I will keep this in mind for when we return!!! I was here in November and have a few comments to add. The views from this hotel are sublime. It is on a promontory on the hillside and you have views in all directions. Be sure to grab a cocktail at sundown and enjoy the sunsets! Wifi is patchy but that is the case in the whole of Mindoro. As soon as the wind gets up you can lose connectivity. Finally allow plenty of time to get back to the mainland if you have a connecting flight. Boats get grounded if a weather alert 1 is announced and your only option is a seaplane. That gets grounded at alert 3 so we just made it back to Manila in time for our return flight! Phew! Glad you caught your return flight. Thank you for the extra tips Anne. Those are things to consider really. They say morning ferry’s are calmer and the late ones can sometimes get rough. Glad you liked Utopia. Wow this looks really does look Utopia, I can see why they picked their name for themselves! I love that the house has two floors, I have never stayed in my own private place like that. It seems to have lots of amenities inside it as well which is perfect for those who just want to laze around and relax. Would love to visit this one day! 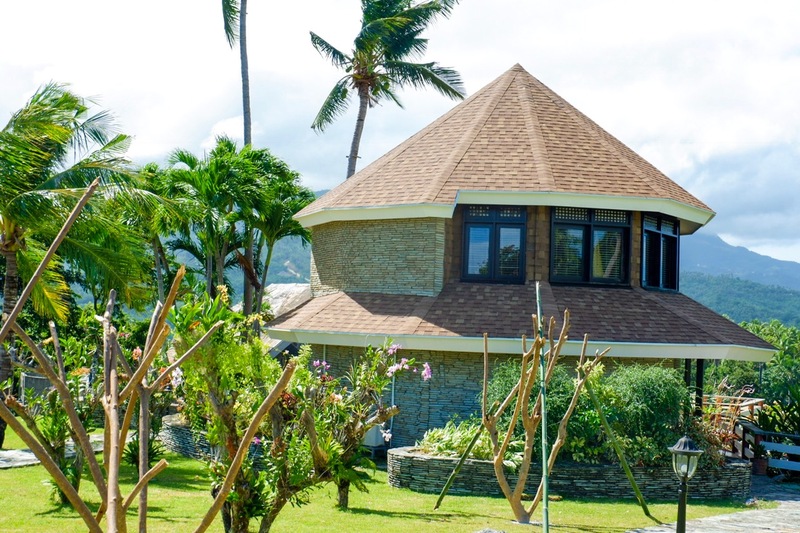 What a peaceufl and quiet retreat–it certainly does seem to live up to its name! The views are wonderful and the food looks good. I could definitely go for a little spa treatment right now! Great resort! I love it all. Utopia has a little of everything. Would love to check out the spa and taste that delicious food. Is this a new resort? The room looks great plus that view! Buti nalang 5-10 min boat ride lang, i think we can manage to get there 🙂 do they have day passes?